Spring is upon us, time for birds and beasts to take human mates and deathless men to walk the earth, or so two new books would have us believe. The Tiger’s Wife by Téa Obreht and Deathless by Catherynne M. Valente have more in common than their March release dates. Both feature tales of animal husbandry and a deathless man. 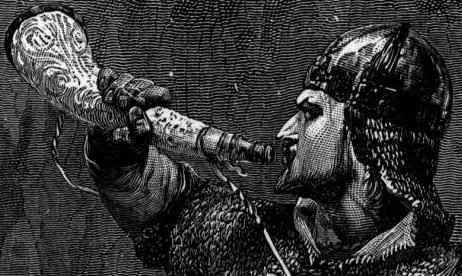 Slavic folklore provides a common foundation for both books but one is written as a fable and the other as a fairy tale, a distinct difference. “In my earliest memory, my grandfather is bald as a stone and he takes me to see the tigers.” How I envy the narrator right from the opening line of The Tiger’s Wife! My introduction to the story came earlier, however, in the form of a terrific excerpt in The New Yorker. Tigers are one of my favorite subjects, and Obreht is a master tiger-handler (in fiction, at least). Her proficiency as a young writer is enviable, though it shouldn’t be held against her. In some small details (“For about a third of a mile”) Obreht is almost too proficient, and it threatens to squeeze the air out of the story as it shifts from the narrator grappling with the news of her grandfather’s passing to stories from her grandfather’s past. Therein lies the crux of this novel: Natalia’s seeking to understand her grandfather with whom she shared so much – a home, a profession, a ritual – yet about whom she knew so little. Like Ruta Sepetys in Between Shades of Gray, Obreht returns to her Eastern European roots to tell a magnificent tale of people caught on the wrong side of shifting borders. Magic and medicine, science and superstition, belief and fear of the unknown are all at war, just as the country is divided by civil war. “War is not for winning,” Koschei tells Marya in Deathless, “It is for surviving.” Borders are in continual flux as war is waged between the realms of the Tsar of Life and the Tsar of Death. In The Tiger’s Wife there are land mines, but in Deathless even a leaf can be a hidden trap, green with life on one side and silver with death on the other. The books share similar folk remedies – rakija-soaked sheets in the former and mustard plasters in the latter – as well as similar folklore: Baba Roga/ Baba Yaga, Leši/Leshy, Death and Deathless. That is to be expected from two similar Slavic cultures, yet the traditional stories spawn infinite variations. Deathless is an updated retelling of the tale of Koschei the Deathless and Marya Morevna set in the era of world wars and Russian revolutions. That premise was enough to draw me in, and the excerpts on the publisher’s website (along with the promotional comic book) completely captivated me. As a young girl, Marya watches through the window as birds transform into military officers who proceed to marry Marya’s older sisters. “And so Anna went dutifully to the estates of Lieutenant Zhulan, and wrote properly worded letters home to her sisters, in which her verbs were distributed fairly among the nouns, and her datives asked for no more than they required.” The melding of paradigms is delectable! This is lush, indulgent story-telling. Valente’s re-imagining of traditional Russian folktales are vivid and lurid, filled with the blood of life and death. As for Marya, her destiny lies with Koschei the Deathless, who comes for her. She becomes his wife and his wolf (volchitsa). The novel turns on a single question: who is to rule? Husband or Wife? The Old ways or the New? Life or Death? The story vanquishes the characters every time it is retold. In an earlier post (Reading vs. Writing 9/16/09) I wrote that I was scaling back on reading in order to write more. I have yet to complete the chapter of Grandpa Art I’ve been working on over the past few months, so I banned myself from reading altogether. It wasn’t a matter of time distribution so much as it was high time I reclaimed my imagination for my own story. The self-imposed hiatus went into effect three weeks ago, and the results have been mixed. I succeeded in rerouting my imagination and now have the scene almost fully realized, but it still hasn’t translated into words. The description has come haltingly, without flow. The language has dried up. My mind feels dessicated, parched from a lack of literature. This became keenly evident while I was reading an exceptional short story in The New Yorker (the singular source allowable). “Fjord of Killary” by Kevin Barry is about an Irish poet who buys an old hotel on the west coast of Ireland in his search for inspiration. He finds only a deeper melancholy, out of place amid the locals, until a tremendous storm causes the waves to overflow the sea wall and flood the hotel. The proprietor and his colourful clientele seek refuge on the second floor, and as the water rushes in so too does the poetic inspiration. I felt the flood of Barry’s words seep into my thirsty mind, filling the basement and lower levels. I soaked up his story like a spent sponge. Yet even after that experience I continued to deny myself the pleasure of reading, as if I had given it up for Lent (despite the fact that I’m not Catholic, as I cracked on my twitter account @JACrobat). My friend Phoebe Gaston, a book rep for Algonquin, went out of her way to provide me with an advance reader copy of The Frozen Rabbi by Steve Stern which sounds fantastic, but I forced myself to leave it on the shelf until I finish this chapter. It’s been three weeks and my resolve, like the ice encasing the rabbi, is starting to melt. I have deprived myself long enough. Based on the theory that what you get out of an activity is proportionate to what you put in, I’m going to start putting words back into my mind. My narrator is from Richmond, so I’m going to pick up Richmond Noir, a recommendation from Kelly Justice at the Fountain Bookstore. The Frozen Rabbi will have to remain in suspended animation for a little longer! Side note: not reading on the train every day has afforded me the chance to catch up on some Writing Excuses podcasts, which are most beneficial! I wrote in an earlier post that I was excited to read People of the Book by Geraldine Brooks, but “excited” might not convey fully my interest in this book. During my senior year in college, I worked in the Marriott Library’s Preservation department. It was a glorious nine months – probably the most enjoyable job I’ve ever had! It was too brief a stint to get much more than a taste of book conservation, but I loved what I tasted! When the art museum on campus had a book art display last year I attended the exhibit twice, taking an uncle with me on the second visit. A novel about the history and conservation of an illuminated text certainly appeals to me. Moreover, I was interested in this particular book, the Sarajevo haggadah, having been primed by an article in The New Yorker about the incredible events surrounding its’ preservation. Considering this novel is written by a Pulitzer Prize-winning author, is a current best seller and a recent Booksense Pick, it bears all of the hallmarks of a terrific read. I even like the cover art! To say that I was excited to read People of the Book is a gross understatement. To say that I was excited to read People of the Book by Geraldine Brooks is a gross misstatement. Her experience as a correspondent in Sarajevo does establish credibility for the scenes in that setting, but that is the only positive she brings to this story. Her main narrator, Hanna Heath, an Australian expert in book conservation, is just as irritating to me as she is to her distant mother. With only one exception, the imagined historical chapters are poorly portrayed and disappointing. The blatant emotional abuse that Brooks heaps on her characters is sickening, and the contrived plot twists (Hanna discovers she is half Jewish!) are insulting and unnecessary. The true story of the survival of the Sarajevo haggadah and those who risked their lives to protect it is dramatic enough, and these amendments only detract from that story. Brooks is the wrong person to write this book. In the hands of Michael Chabon it would have been riveting. As written by Brooks it’s revolting. Anyone who enjoys a well-written book review ought to read Joan Acocella’s piece on God’s Crucible: Islam and the Making of Europe, 570 to 1215 by David Levering Lewis in the February 4, 2008 issue of The New Yorker. It is an excellent, even treatment of the subject matter, the author’s writing style, and the current trend in revisionist history (Lewis’s hypothesis is that more of Europe could have benefited from Islamic rule, as they had the superior civilization). I confess to being partial to Charlemagne in his dealings with the Saracens, so I’m not likely to be swayed by Lewis’s argument. I was completely bowled over by Acocella’s review, though!